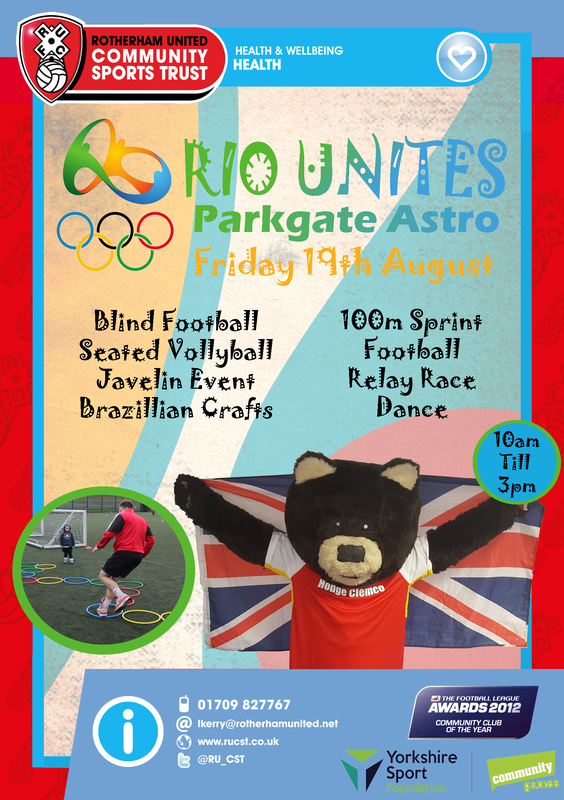 To celebrate the Olympics 2016 RUCST are holding a RIO unites day at Park Gate Astro for children aged between 10 – 16 years of age, all abilities welcome! 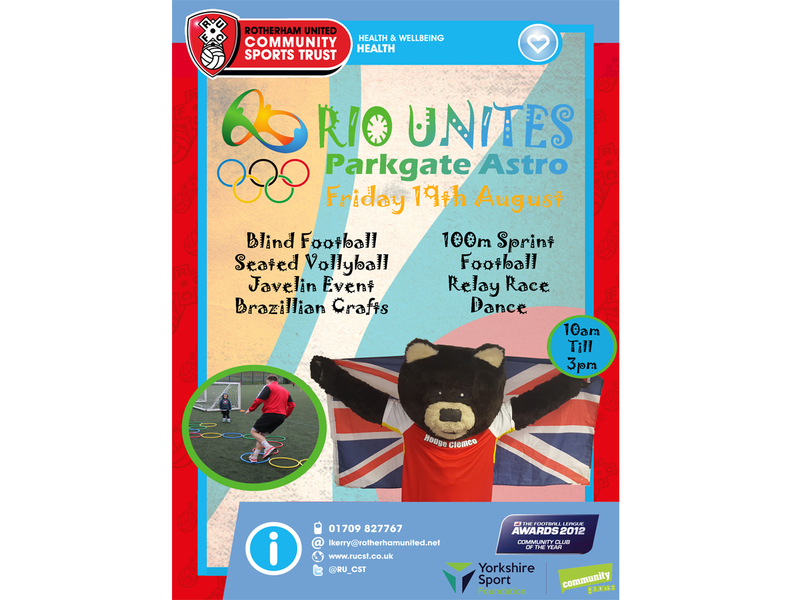 On the day there will be the opportunity for the children to have a go at Football, Seated Volley Ball, Javelin, 100m sprint, relay race and blind folded football, with the opportunity to win lots of medals! Along with the experience of physical activity both parents and children can experience a taste of the Brazilian culture – through arts crafts and carnival Dance. Parents are welcome! The event will be running on Friday 19th August 2016. There will be an adult race so bring your racing shoes! You will need to register for this event if you wish to attend so please contact Lauren Kerry our Health Officer on 01709 827767 or if you want a little more information please don’t hesitate to call for more information.